Money is like weather: It shapes the tides on which ride our dreams and lives, this site rx yet we often ignore its true nature. “Crap, it’s raining” is to “Crap, I’m poor” as our planet’s ecosystem is to the new $5 bill: Until you stop focusing on what it’s worth, you miss the complex beauty of what it is. 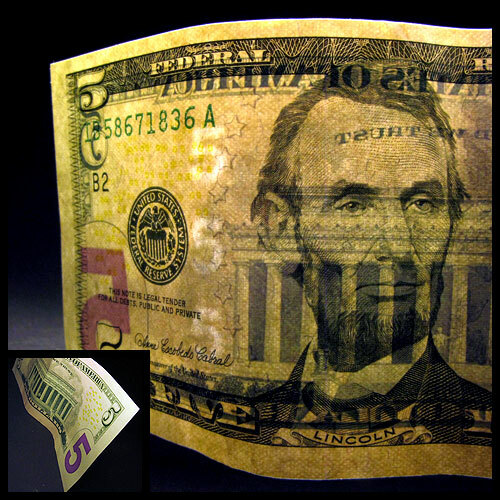 U.S. mints began pumping the new $5 bill into circulation about 10 days ago – packed with anti-counterfeiting gimmicks. Microprint, ultraviolet-sensitive threads, surface embossing, multiple hidden watermarks – it’s a wonder the damn things don’t cost at least $5 each to make, so extravagant is the technology and craft behind them. Our cash is no longer dull, green and filthy. Our tax dollars are at work, making more of our tax dollars. Our money is art. Yours?